Recent release “Earth Woman” from Page Publishing author C.W. Swanson is a profound and spiritual memoir that delves into the ideas of self-acceptance, understanding and enlightenment. C.W. 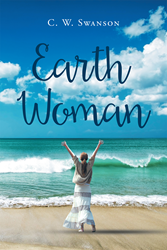 Swanson, a mother, grandmother, registered nurse for forty years, clinician, educator, administrator, spiritualist, devoted writer and author, has completed her new book “Earth Woman”: a gripping and potent spiritual work about one’s connection with Mother Earth. Published by New York City-based Page Publishing, C.W. Swanson’s poignant tale opens the eyes of the reader to a new perspective about life, love and belief. “The title of this book, Earth Woman, is deceptively simple. We are all Earth people. Yet many people live their lives seeking meaning, happiness, and fulfillment unaware that their primary connection is to their Mother Earth. This authentic narrative relates the story of a modern working woman and mother who undertakes a spiritual journey. Walk along the rocky road to transformation with the author as she candidly reveals her ignorance and vulnerability in the struggle for answers. Witness the healing, peace of mind, and deep spiritual satisfaction that is found in the ancient wisdom of North America. This genuine memoir encourages the reader to start where you are, be persistent, and never give up on the dream of the light of understanding,” says Swanson. Readers who wish to experience this profound work can purchase “Earth Woman” at bookstores everywhere, or online at the Apple iTunes store, Amazon, Google Play or Barnes and Noble.